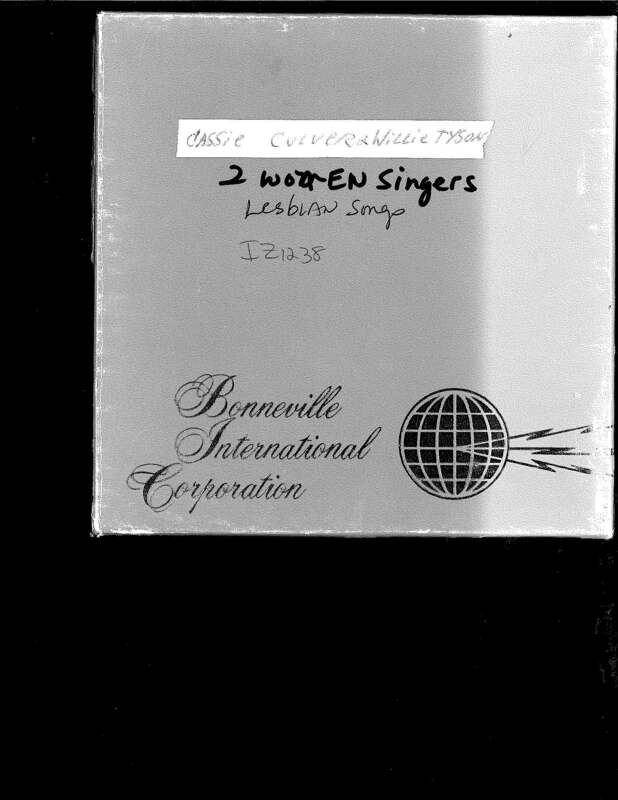 Casse Culver and Willie Tyson, two lesbian folk singers, perform at an unknown venue. They perform "The Bloods", "Don't Put Her Down", "Truck Drivin' Woman", and "Levee Blues." Extract from a longer performance. See also IZ1069, digitized as part of the American Women project. 1 reel (17 min.) : 7 1/2 ips. mono. Los Angeles : Pacifica Radio Archive, 1976.